ENMWUA has given official “Notice to Proceed” in building a portion of its water delivery system to eastern New Mexico communities. 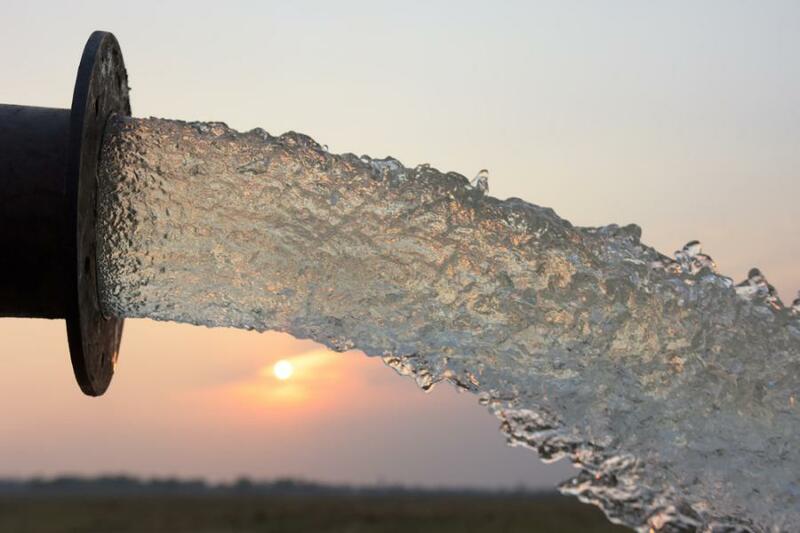 The Eastern New Mexico Water Utility Authority (ENMWUA) signed the construction agreement and has given official "Notice to Proceed" (NTP) in building a portion of its water delivery system to eastern New Mexico communities. This action gives the selected contractor, Oscar Renda Contracting Inc. notice to move forward with construction of the water pipeline's next phase known as Finished Water Two (FW2). This seven-and-a-half-mile portion of the pipeline will begin northwest of Cannon Air Force Base (CAFB) and continue south and east towards EPCOR's water storage system/tanks located on Martin Luther King Boulevard and Brady Ave. The cost for FW2 will be approximately $27.9 million. The contractor has 350 calendar days from NTP to complete the project. The FW2 will consist of a 33-inch transmission pipeline that will have the ability to connect to CAFB's water delivery system. The 33-inch transmission pipeline will continue east toward EPCOR's water storage tanks connecting to the Clovis (EPCOR) water system. The pipeline will ultimately be able to provide a water supply to Clovis residents and CAFB from interim groundwater sources and eventually from a surface water supply at Ute reservoir. ENMWUA Chairman David Lansford said, "Finished Water Two [FW2] represents the initial phase of the Interim Ground Water Project [IGWP]. The IGWP is the next and most essential phase of the Ute Water Project in both the short and intermediate term. The IGWP will be a functional water utility delivering potable water to Eastern New Mexico residents before the Ute Water Project is fully completed." FW2 is important because it allows the ENMWUA to utilize the pipeline in the interim, while it continues to build toward Ute reservoir, which will eventually provide the eight-member communities with up to 16,450-acre feet annual supply of renewable surface water. The Eastern New Mexico Rural Water System is a regional rural water supply project in east-central New Mexico. The purpose of the project is to provide potable water to eight city and county member agencies and Cannon Air Force Base for municipal, commercial, and industrial use from a renewable surface water supply at Ute reservoir. The ENMWUA was enacted by the New Mexico State Legislature effective July 1, 2010. The member communities are Clovis, Grady, Elida, Melrose, Portales (includes Roosevelt County), Texico and Curry County.